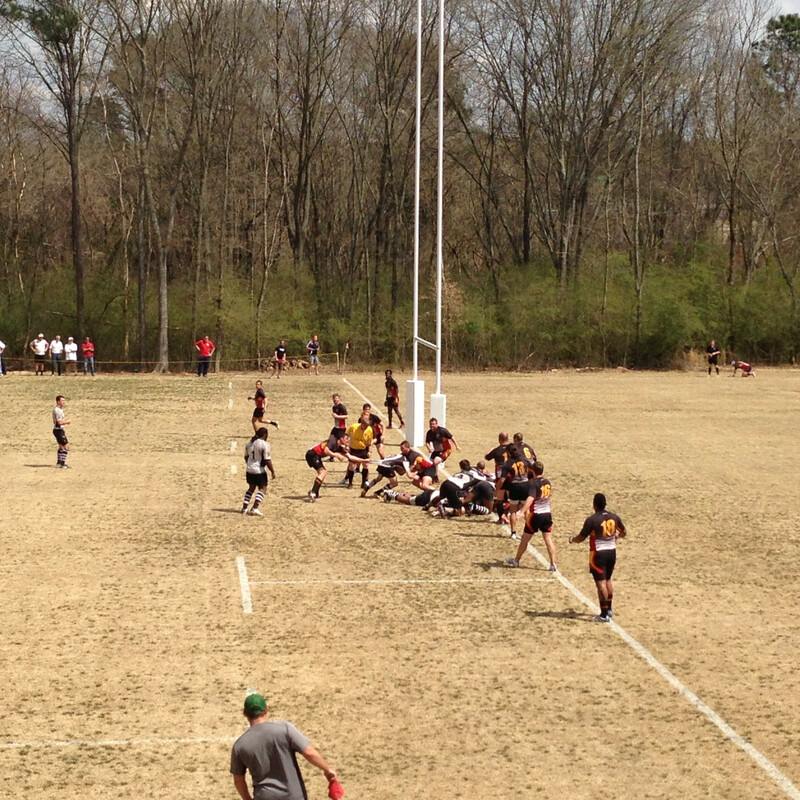 On March 30 I was at the Atlanta Old White pitch watching the Old Whites playing Atlanta Renegades. I was pretty stoked since I hadn’t seen a live Rugby game for quite a while, actually the last time being at Matmut Stadium in Lyon in November 2012. The game itself was pretty decent and ended with a 29:7 victory of Atlanta Old White. However, what I saw that day was not my idea of Rugby. Since I wasn’t able to play Rugby for quite a while wanted to join the Atlanta Old White Rugby Union team. Unfortunately due to work and other time constraints I only made it to practice once. Thus, my decision to see the game was also to check things out and at least get some Rugby flair. But that Rugby flair was missing a little bit. During the game it happend a couple of times that some of the players participated in another sport – brawling. I mean I have been in and at rough/tough games where the occasional fist was thrown. Fair enough. The adrenalin has it. But I’ve never experienced referees and visitors joining the brawl. That’s not my idea of Rugby. Rugby for me was and still is a fair sport with mutual respect for each other. That occurrence made me think and now, after two weeks basically, I decided – for the time being – not to seek to play Rugby here in Atlanta any more. This is actually sad, since I was introduced to Rugby Union here in the US, precisely at the University of Wisconsin – River Falls, back in 2010, and I would really like to play again. But, again, this is not my idea of Rugby. The video below of the CBS Sport Rugby team in Copenhagen, Denmark, where I played last is what I think Rugby is about. Check it out!